(CNN) - Real estate mogul and television celebrity Donald Trump, who generated a media publicity blitz by saying he might run for president in 2012, announced Monday that he will instead remain a businessman. "After considerable deliberation and reflection, I have decided not to pursue the office of the presidency," Trump said in a statement. With his typical bravado, Trump maintained that he would have won the Republican primary and the general election, but recognized that "running for public office cannot be done half-heartedly." "Ultimately, however, business is my greatest passion and I am not ready to leave the private sector," Trump said in the statement. Trump's flirtation with running for the Republican nomination included his demand that President Barack Obama make public his full birth certificate from Hawaii. Obama previously had provided a shorter version that serves as the public record in Hawaii, but amid the media glare on the issue raised in part by Trump's repeated questioning of whether the so-called long version of the document existed, the president released it last month. At an NBC presentation of the network's fall line-up, Trump, star of "Celebrity Apprentice," said "NBC has been amazing. This will be our 12th season and I have to say I love 'Celebrity Apprentice.'" 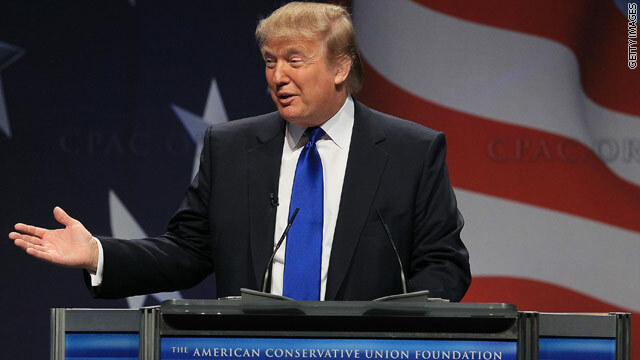 "I will not be running for president as much as I'd like to," Trump added. "After considerable deliberation and reflection, I have decided not to pursue the office of the Presidency. This decision does not come easily or without regret; especially when my potential candidacy continues to be validated by ranking at the top of the Republican contenders in polls across the country. I maintain the strong conviction that if I were to run, I would be able to win the primary and ultimately, the general election. I have spent the past several months unofficially campaigning and recognize that running for public office cannot be done half heartedly. Ultimately, however, business is my greatest passion and I am not ready to leave the private sector. I want to personally thank the millions of Americans who have joined the various Trump grassroots movements and written me letters and e-mails encouraging me to run. My gratitude for your faith and trust in me could never be expressed properly in words. So, I make you this promise: that I will continue to voice my opinions loudly and help to shape our politician's thoughts. My ability to bring important economic and foreign policy issues to the forefront of the national dialogue is perhaps my greatest asset and one of the most valuable services I can provide to this country. I will continue to push our President and the country's policy makers to address the dire challenges arising from our unsustainable debt structure and increasing lack of global competitiveness. Issues, including getting tough on China and other countries that are methodically and systematically taking advantage of the United States, were seldom mentioned before I brought them to the forefront of the country's conversation. They are now being debated vigorously. I will also continue to push for job creation, an initiative that should be this country's top priority and something that I know a lot about. I will not shy away from expressing the opinions that so many of you share yet don't have a medium through which to articulate. I look forward to supporting the candidate who is the most qualified to help us tackle our country's most important issues and am hopeful that, when this person emerges, he or she will have the courage to take on the challenges of the Office and be the agent of change that this country so desperately needs." I think The Donald could do a lot for the USA. He has a great business mind and perhaps that's what we need at this difficult time in our nation's history. Something has to be done about the growing debt & out of control spending. I think any body can beat the imposter in charge Obama! Good! He got his free advertisement for his show thanks to CNN and all the other tabloid on-line and off-line rags, so now CNN can ignore him.....................PLEASE IGNORE HIM! Darn it! And I was looking forward to the giant fluorescent TRUMP sign on the WH lawn with the turnstiles to get in for the tour. He never meant to run. This was all a good old fashioned publicity stunt. And people sadly kept putting microphones in front of him. Quite sad, but the hilarity is not lost on me. Well, he did say a few days ago that many people would be pleased with his decision. His decision not to run certainly will not fail to please a majority of the voting constituency. Oh darn! I was so looking forward to seeing him be made the fool. Either by the other Republicans, Obama or his own clumsy self. Oh well, good riddance to bad rubbish. Ok, he shot his mouth off and blew his own chances of success, BUT I still support his state of mind that America needs to come first, level the international trade playing field, and shore up our country before it is too late. Who else in contention holds those ideals as a priority. "The business of America is business" and we need to get back to it, enough handouts and policing the world. Can't we just put ourselves first for a change, at least until we stabilize and regain so much of what has been lost or is in jeopardy? So we may not have loved Trump per se, but don't be so quick to dismiss his points and what he stood for. Been saying it for the past month along with many others. This man would have never have allowed anyone to see his financials. Couldn't possibly afford to. Then the rest of the world would stop believing he is such a genius. His financials would disclose what fraud he is in business as well. He is a salesman, I'll give him that. "So, I make you this promise: that I will continue to voice my opinions loudly..."
No, Donald, it's okay. You've run your mouth enough already. He was never a real candidate. This is as much a news story as Carrot Top pulling out of the race. he was afraid he would have to release his financials proving that he is a neither a millionaire or a billionaire, just a man with large debts and failed businesses in his wake. Donald is a clown. In makeup business too!!!! He has that hat over his head that he calls hair; that white shadow around his eyes; and he is orange!!! Orange!!! Don, do yourself a favor! Shave the rug and stop getting painted in orange! I can't have an orange President!! Running for president isn't profitable. End of story.